Pretty and very useful Victorian Pine Whatnot. 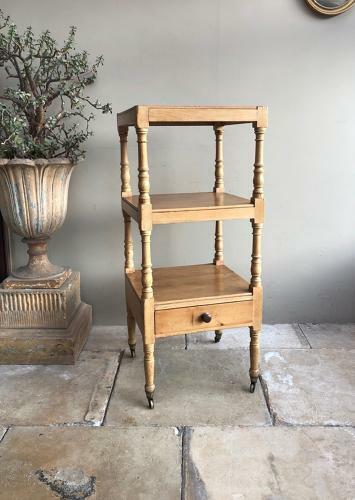 Three tiers and a handy drawer all raised on its original brass castors. Good honey pine colour (original not stripped).